Jason B. Schmidt is the world’s premiere (only) Bea Arthur impersonator. Schmidt’s portrayal of Beatrice, celebrates the Broadway and Television star’s most iconic moments including The Shoestring Revue, Fiddler on the Roof, Mame, Maude, The Golden Girls, Bea Arthur on Broadway – Just Between Friends and Bea-yond! The man in the moon is… Jason B. Schmidt as Beatrice Arthur. Schmidt made his debut as a Bea Arthur send-up named Dorothea Xbornik in 2010’s Thank You for Being a Friend, the Musical off-broadway. 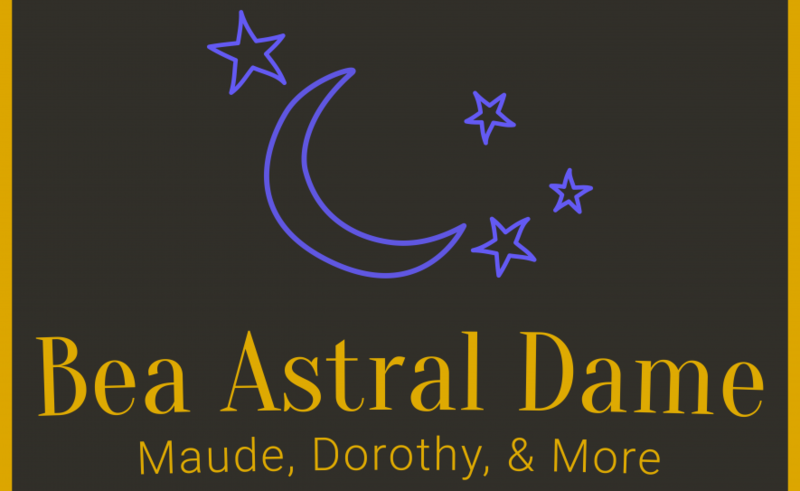 Following that run, he and that show’s choreographer Amy Anders Corcoran (Escape to Margaritaville, Freaky Friday), made a pact to create something together, and that creation was Beatrice Arthur: Astral Dame (#BeaAstralDame) a one “woman” show in which Bea comes down from the heavens for one last musical hurrah. Guided by her celestial stage manager, Jimmy Durante, Bea vows to sing us through her dearest memories, and throws in a few extra surprise wishes that never quite came to fruition in the mortal world. In 2017, Jason B and a few of his pals and confidants, Gerry Mastrolia and Andy Crosten banded together to create the golden “girl” group The Golden Gays NYC. After sold out engagements at the famed Rue La Rue Cafe, 53 Above, The Duplex NYC, and now Spin Cycle NYC’s Laurie Beechman Theatre, they will be touring the US with their Golden Girls musical tribute, Hot Flashbacks in 2018. Asbury Park, NJ, Baltimore MD, Cumberland MD and Pittsburgh PA are all on the first leg announced so far. Corporate events, cabaret shows, birthday parties, the sky’s the limit for where Bea Arthur, Dorothy Zbornak, Maude Findlay or maybe even Vera Charles could appear.